Alice Dixon (1851-1910) was born into a comfortable middle class life in London that she eagerly left behind to travel to Yucatán as the young bride of Maya archaeologist Augustus Le Plongeon. Working side by side as photographers and archaeologists, the Le Plongeons were the first to excavate and systematically photograph the Maya sites of Chichén Itzá and Uxmal. After spending eleven years in the field, she devoted the rest of her life to lecturing and published books and articles on a wide range of topics, including her exploration of Maya civilization, political activism and social justice, and epic poetry. Alice's papers became public in 1999 and included photographs, unpublished manuscripts, correspondence, and a handwritten diary; over two thousand of her prints and negatives survive today in public and private collections. 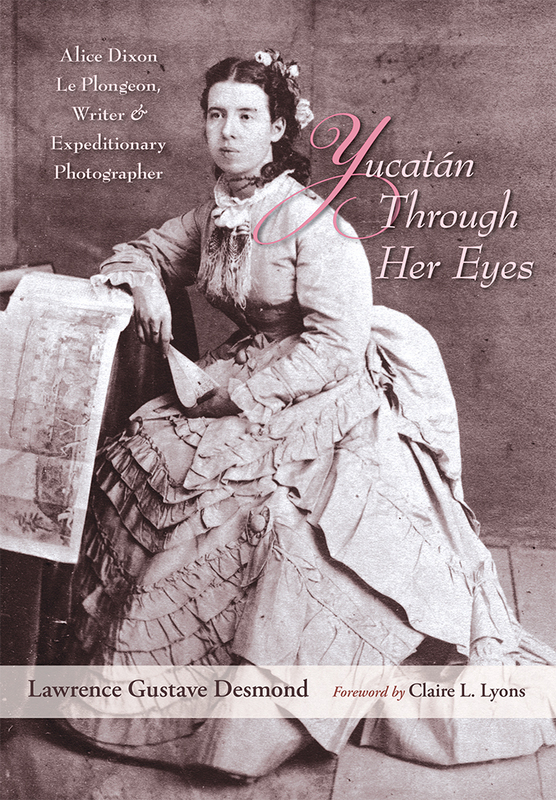 Combined with Lawrence Desmond's biography of this remarkable woman's life, her diary offers readers a rare glimpse of life in the Yucatán peninsula during the final quarter of the nineteenth century, and an insider's view of fieldwork just prior to the emergence of Mesoamerican archaeology as a professional discipline. Lawrence Gustave Desmond is senior research fellow in archaeology with the Moses Mesoamerican Archive and Research Project at Harvard University, and a research associate with the department of anthropology at the California Academy of Sciences, San Francisco. He is the coauthor of A Dream of Maya, a look at the life and archaeology of the early Mayanist Augustus Le Plongeon. Claire L. Lyons is curator of antiquities at the J. Paul Getty Museum. Since 1999 she has been a research associate at the Cotsen Institute of Archaeology, UCLA.